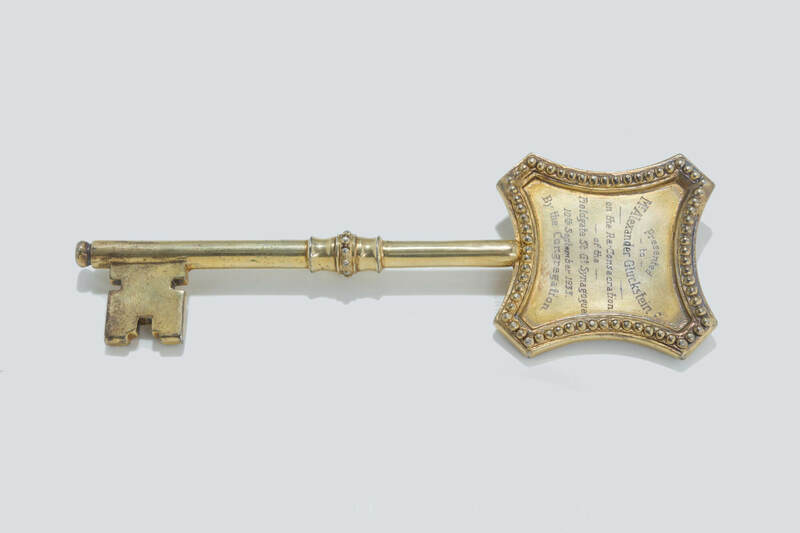 A STERLING SILVER PRESENTATION KEY. London, 1933. Engraved “PRESENTED TO MR ALEXANDER GLUCKSTEIN ON THE RECONSECRATION OF THE FIELDGATE ST GREAT SYNAGOGUE, 10TH SEPT. 1933 BY THE CONGREGATION.” 6.6” long.